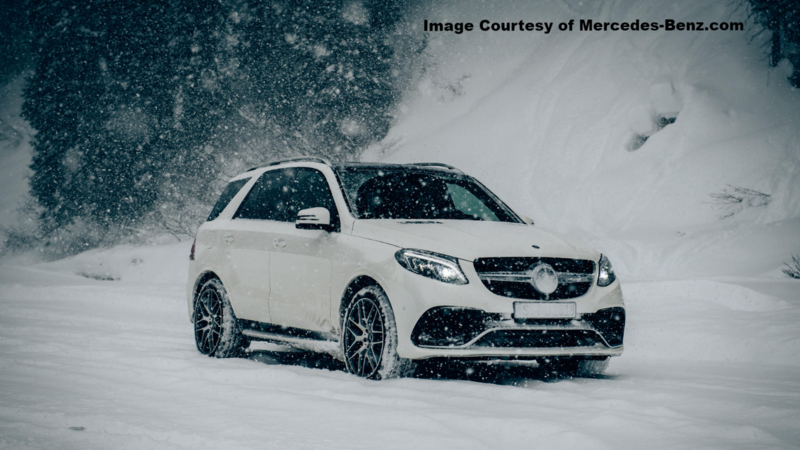 Slideshow: Whether you're looking for a bit of snowy inspiration for your next car or are just dreaming of driving your favorite Mercedes-Benz along snow-covered roads, here's a bit of inspiration. 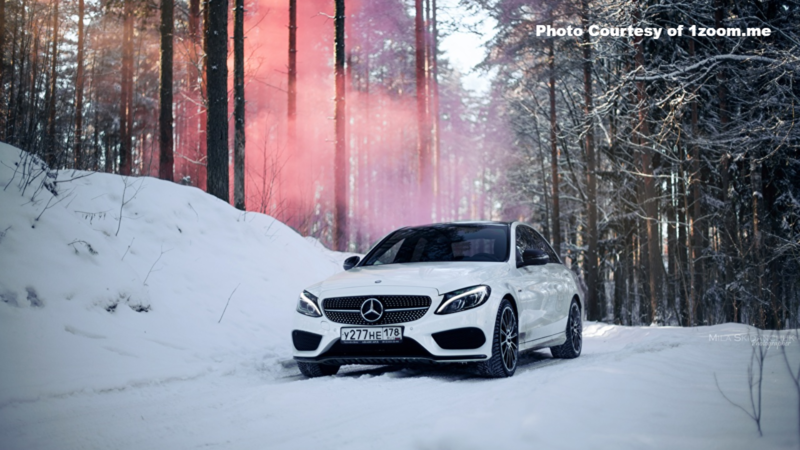 First introduced to the market in 2016, the Mercedes-Benz C450 AMG boasts a powerful 3.0-liter turbo V6 engine, which is plenty to power through various road conditions, such as this snowy drive. There are also five different driving modes, including fast-paced Sport and Sport+ modes for an added performance boost. A cabriolet may not be the first vehicle that comes to mind when you picture a Mercedes-Benz powering its way down a snowy road. 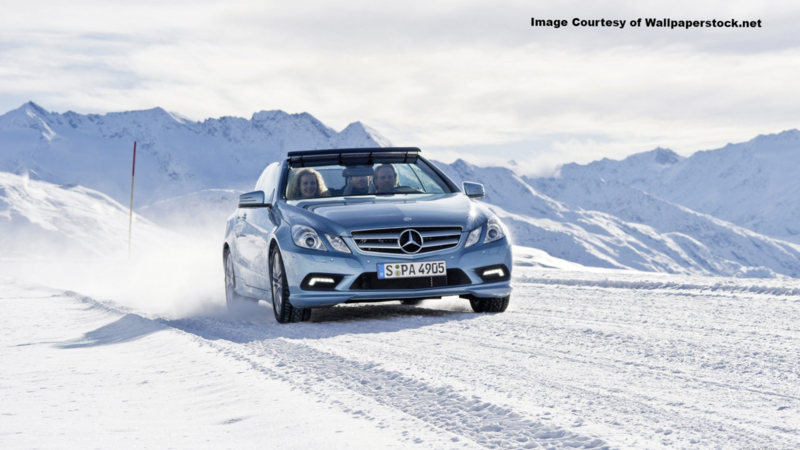 The Mercedes-Benz E-Class Cabriolet is well suited for four seasons though, thanks to a multi-layered soft top that can be raised or lowered as needed. Of course, you can't forget the heated seats, which add a boost of comfort and warmth, even in the chilliest temperatures. 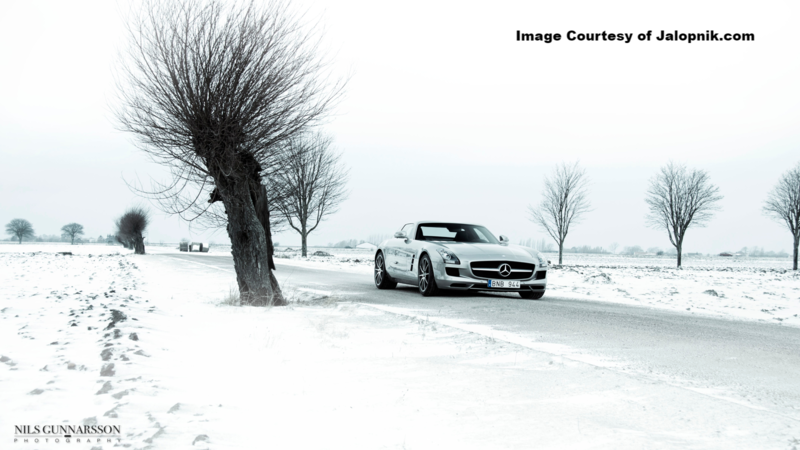 With its beastly 583 hp, 6.2-liter V8 engine and a seven-speed automatic transmission, the Mercedes-Benz SLS AMG has plenty of power for varied road conditions, including those covered in snow. This Benz is equipped with rear-wheel drive and is perhaps best known for its raw speed. 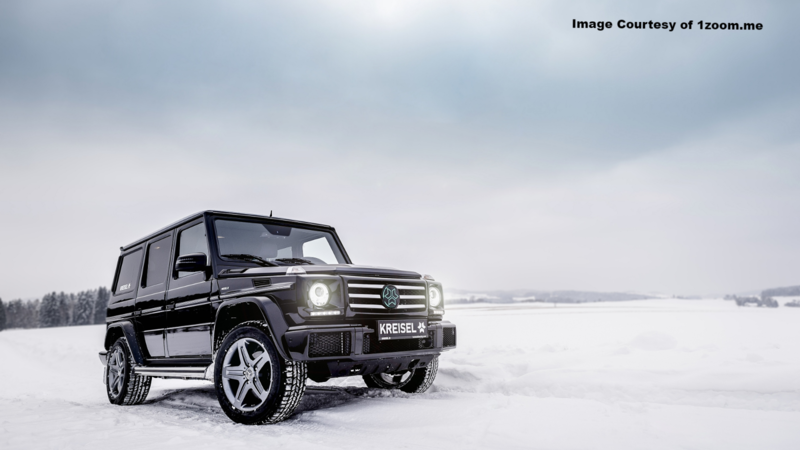 Snow-covered roads invite the Mercedes-Benz G-Class out to play. This four-wheel drive SUV commands attention with its boxy design, a feature that can be traced back to its origins as a military vehicle that was first introduced to civilians in the late 1970s. Now, the second generation W463 is larger and has more ground clearance than previous versions, making it an even better fit for adverse driving conditions. The AMG GLA 45 SUV has a net 375 hp engine, which boosts acceleration to 4.3 seconds. It's also equipped with a 2.0-liter turbo engine and a seven-speed dual clutch automatic transmission. 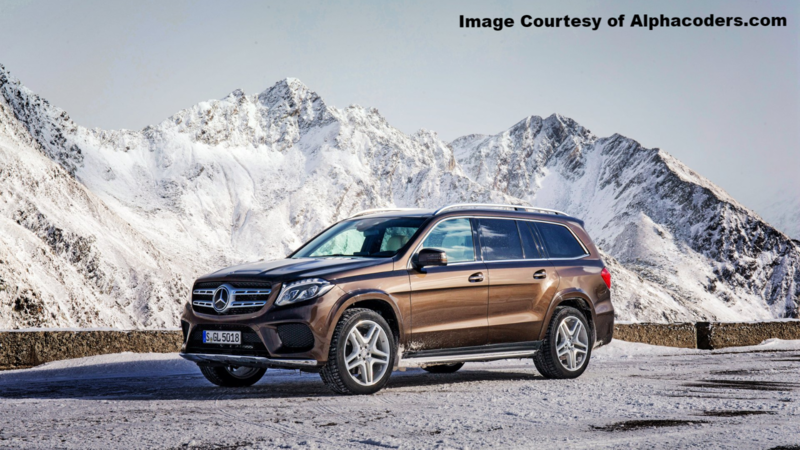 The 4MATIC all-wheel drive system helps power the SUV through a variety of adverse road conditions, including snow coverage. Multimode shocks absorb bumps and jolts for a smooth, luxurious ride. 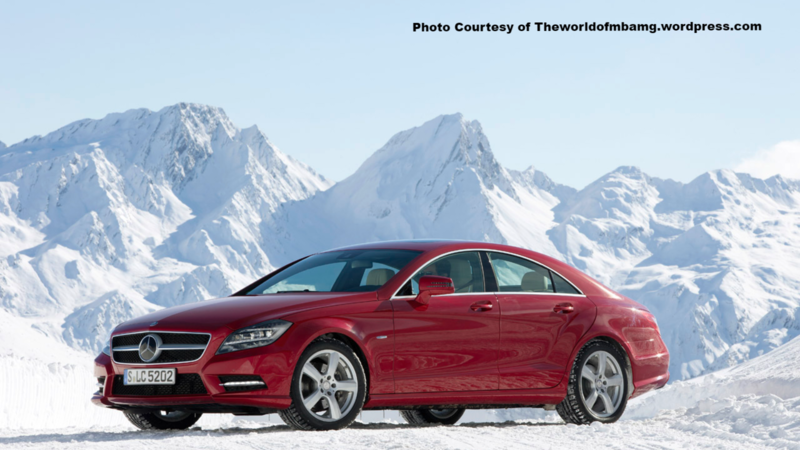 This red CLS four-door Coupe looks simply stunning against a snowy backdrop. The Benz blends luxury and performance, complete with sleek AMG styling and 19-inch wheels. Contoured front seats make any drive more comfortable and luxurious. In terms of power, the 362 hp turbo engine offers plenty of performance. Its sporty and agile construction makes the Mercedes-Benz AMG GLE 63 S a must for edgy rides in the snow. A sporty nature combined with 4MATIC technology keeps the SUV feeling secure and powerful in even the most adverse driving conditions. An AMG 5.5-liter V8 bi-turbo engine, combined with a seven-speed automatic transmission, ensures there's never a shortage of power or performance. The GLS SUV is a large, luxurious Mercedes-Benz that can seat up to seven passengers. 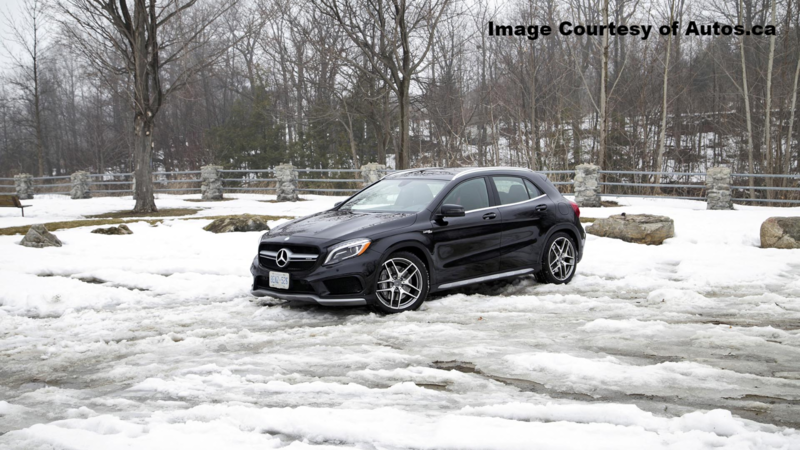 For the snow (or other trickier road conditions), standard 4MATIC all-wheel drive instantly provides power to the wheels for a more secure and confident driving experience. The airy suspension keeps the SUV light and adaptive to various road conditions for a more cushioned and comfortable drive. Heated front seats make even the chilliest temps a bit more bearable.